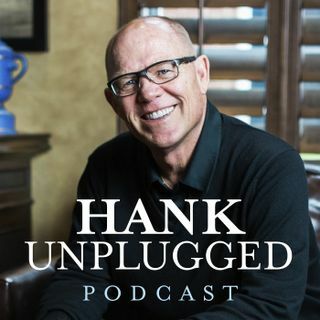 Lee Strobel has been a longtime guest on the Bible Answer Man broadcast, and he now joins Hank for the first time on the Hank Unplugged podcast. Strobel is a former investigative journalist for The Chicago Tribune, and his best-selling books such as The Case for Christ (now a major motion picture) have reached millions of people and had an enormous impact on the body of Christ. Topics discussed include: the lasting impact of Lee Strobel’s book The Case for Christ (2:30); The Case for Christ ... See More movie (6:00); Strobel’s transformation from an angry, drunk atheist to a mild-mannered, God-fearing Christian (8:30); how Strobel uses his award-winning journalistic research and writing skills to provide cogent answers for Christianity (11:00); an honest admission from Strobel on facing dark trials in his life and how prayer helped him to empty his ego and bring him closer to God (15:45); remembering that God’s grace is sufficient in all circumstances (20:30); Nabeel Quereshi as an example of how God can use miracles to reach us (21:45); how should we respond when God doesn’t answer our prayers in the midst of suffering? (23:30); making The Case for a Creator (28:30); learning to trust God for provision and purpose in our lives (31:00); Strobel’s existential awakening in the morgue (record room) of The Chicago Tribune (40:00); the state of journalism today (44:30); are universities today censoring the free exchange of ideas? (49:00); the need for discernment in the age of the internet (50:30); the problems with consensus science (53:15); the importance of equipping young people with a solid apologetic for their faith in Christ (55:30); misinformation in the internet age (1:01:15); the importance of apologetics resources like the Christian Research Journal (1:05:20); dealing with unfair criticisms and attacks online (1:06:30); Strobel’s favorite book that he has written (1:13:00); writing The Case for Miracles and a renewed belief in the supernatural (1:15:10); and advice on how to survive a spiritual mismatch in marriage (1:21:15).